Many little girls, and boys, grow up dreaming of their wedding day. The fancy white dress, the magical reception venue, with dancing and delicious food, surrounded by friends and family. 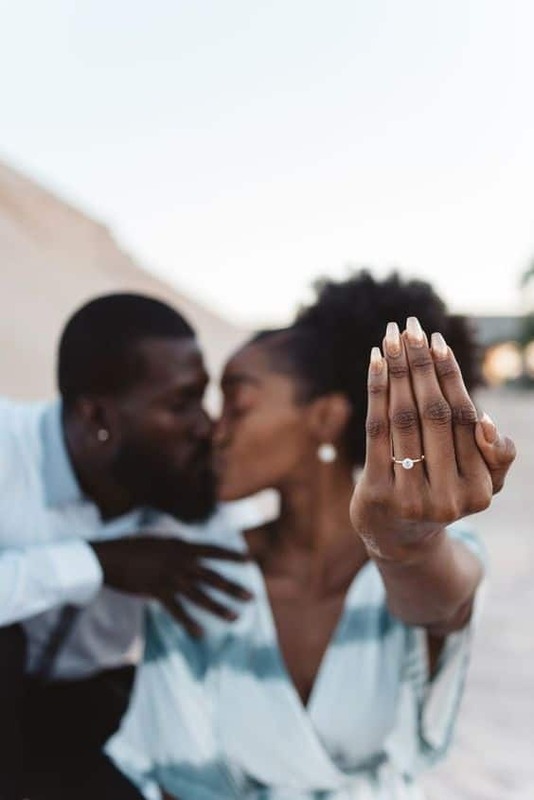 While this is a wonderful dream when you are young, once you are engaged and planning the wedding there ends up being quite a bit of sticker shock. According to WeddingWire, the average American wedding in 2018 had a price tag of about $30,000. 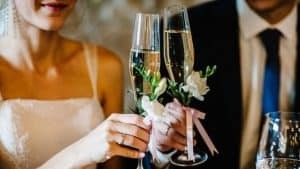 In the January 2nd, 2019, article on Brides.com, the average wedding cost in America is said to be even higher! According to the Brides 2018 American Wedding Study, Brides.com reports the average wedding in 2018 was $44,000. This was a massive increase from the $27,000 wedding cost average from 2017. For those of us who are currently planning a wedding, these figures can be incredibly overwhelming. 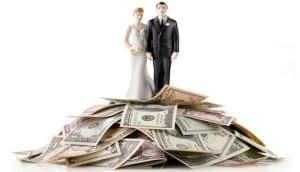 Before you throw out all of your plans and run off to elope, keep in mind, there are a few specific details that contribute to these costs, and with some thoughtful and decisive planning, it is possible to keep those dollar signs to a minimum. When trying to keep your wedding costs below average, you will want to make sure you are keeping your guest list, and even bridal party below the average amounts. Most weddings have less than 200 guests, with the average wedding having 167 guests. So if the dollar and cents are adding up to levels that are making you panic with your guest count of 300, you may want to consider cutting down your guest list before sending out those invites. You may want to also consider keeping a lid on your bridal party numbers to also help cut costs. 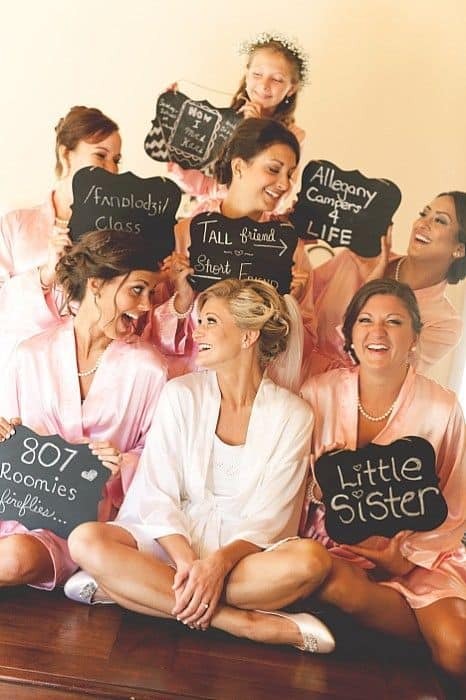 The average bridal party consists of about 5 bridesmaids and 5 groomsmen, and about 85% of couples have a bridal party. You may have many close girlfriends that you want to include, however, in order to not break the bank, you may want to consider other roles for them, such as being personal attendants. Otherwise, you may want to simply have a bridal party that is family only, in order to make sure no one ends up with hurt feelings. 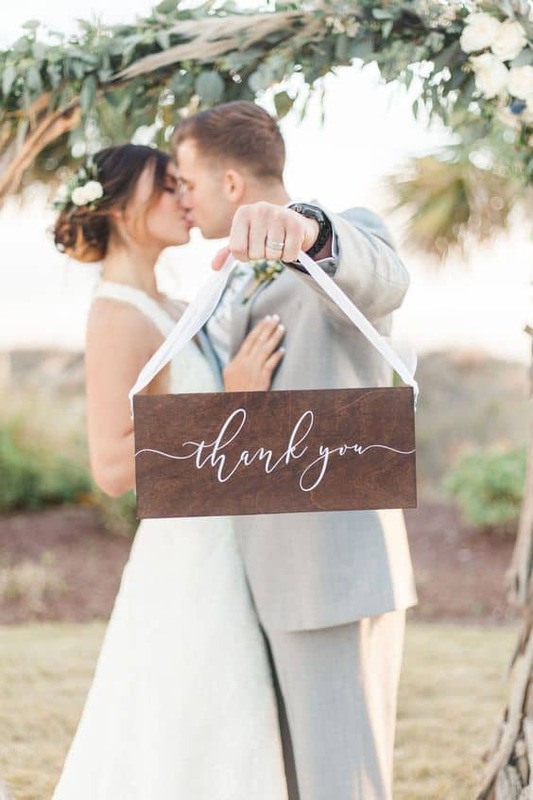 It has become tradition to not only give gifts when asking your potential bridesmaids to be your bridesmaids, but it is also tradition to give them gifts as a ‘thank you’ for participating and giving their support throughout the planning process. These gifts can add up quickly, especially if you decide on the popular personalized gift options. The same goes for groomsmen, so the smaller the group, the less you will be spending. Although guest counts and bridal party numbers can contribute to the high cost of a wedding, there is one specific part of the wedding that is the major culprit behind those large price tags. While you may immediately assume the venue is the most expensive cost, amazingly that is not the item that will take up most of your budget. So what is? According to an article from May 31st, 2016 from Forbes, the real reason weddings are so expensive is the food! Foodie culture has exploded all across the US, with all sorts of new and creative ideas for serving food at weddings. Food stations, food trucks, and personalized food options are what is really breaking the bank for couples. Of course, the more guests you invite, the more food you will need, so really it is all connected. With food options becoming more and more creative, couples are experiencing a lot of pressure, especially from social media, to try to top what has already been done. With this type of pressure, brides and grooms can end up in scary amounts of debt, all in the name of love. 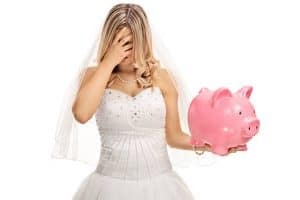 Before you toss out the plans and head off to elope, there are several ways to avoid going bankrupt over throwing a wedding. The first important step is to avoid loans as much as possible. If you are hosting the wedding without any contribution from family, this may be easier said than done. If you do require a loan, try to keep it as small as possible, and figure out specific items to use the loan for, instead of taking out a large lump sum. You may want to also consider asking your guests for donations or contributions towards the wedding, instead of having a registry for gifts. It is easy to explain to guests that you have all the kitchen and house-goods that you could need, but the best gift would be to be able to afford to throw a wedding with all of your friends and family. Do not ask for specific amounts, simply ask for any contribution that they feel comfortable making towards your big day. Another great option for saving money is dollar store shopping. Do not be ashamed of getting décor and supplies from the dollar store. This has become a staple for couples looking to save money on wedding planning, as simple items that cost a dollar can be easily transformed into expensive looking décor for center pieces or even aisle décor. The best way to save money when wedding planning? Rentals! Rent everything from linens to dishware to save yourself money, and the hassle of purchasing items to then have to resell used items after the wedding. You can also rent suits for the groomsmen, and even flowers. Faux flowers are an incredible budget saving option, which gives you the look of real flowers, for about a third of the cost. Renting items that your venue does not supply, such as tables, chairs, linens, glassware, etc. is also a great way to ensure that you end up with high quality items without breaking the bank. Even with these wonderful cost saving measures, you will still want to keep a close eye on your budget. According to USA Today’s article from August 22nd, 2018, Colorado is the 16th most expensive state to have a wedding. The average total for a wedding in Colorado is about $28,590. The most expensive state to get married in is Hawaii, averaging about $39,078, with the most affordable state being Mississippi, which will only run you about $15,581. When creating your budget, just remember, some of the expenses will add up before you even start planning! On January 8th, 2019, Brides.com released the average amount spent on engagement rings. In 2018, couples spent an average of $7,829 on an engagement ring, versus only $5,023 in 2017. Each year the cost of venues, food, rentals, bridal clothing, and other wedding items, continues to increase. Some companies will allow you to book in advance to secure the current year’s pricing, however, not all venues or vendors will give you this option. Keep in mind when researching vendors that some may not advertise their pricing. This can lead to surprise fees, or higher pricing with the company claiming to be giving you a ‘discount’ based on your type of event. To save yourself possible headaches and sticker shock, it is recommended to stick with companies that are upfront about their pricing. Travel or delivery costs will, of course, always be an additional fee, typically depending on your choice of location and any required time parameters, so be sure to keep that in mind when deciding on your budget. Your dream wedding doesn’t have to break the bank, but just remember to be realistic when deciding on your budget. You may have to make small compromises, or cuts, on the guest list, décor details, or even having one less appetizer option, in order to avoid loans or huge amounts of credit card debt. 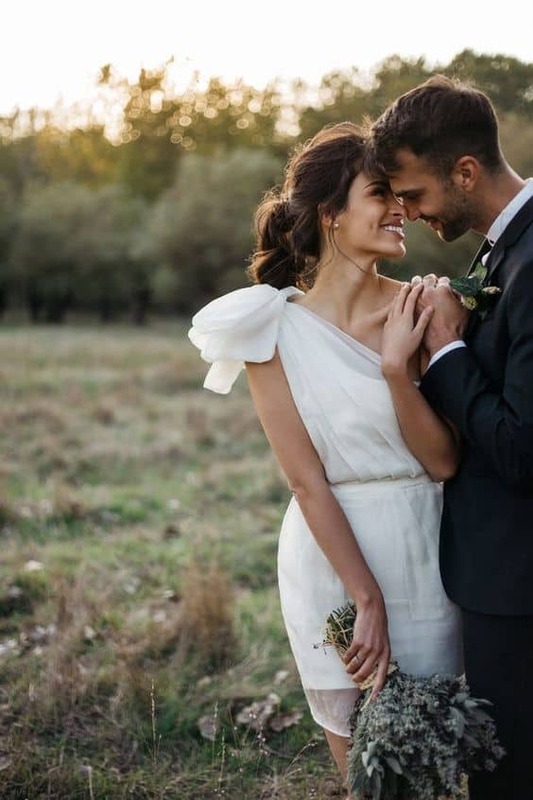 Be sure to keep in mind your chosen location, as you may need to adjust your budget simply based on the state in which you choose to get married. Hopefully this has not scared you away from your wedding planning, as it is possible to keep to a budget! For a quote on rental items, and money saving rental options, give Front Range Event Rental a call today at 970-221-3159. Or check out our website (www.frontrangeeventrental.com) for rental options and pricing. Thanks for reading, and happy wedding planning!